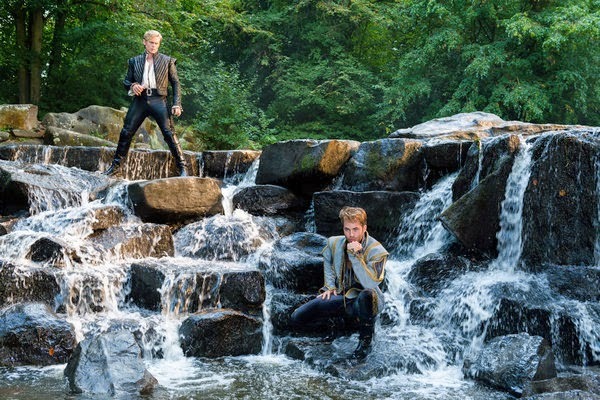 Based on the Broadway production of the same name, Into the Woods sees an all-star cast in the intertwining plots of several Brothers Grimm fairytales as they cross paths in the woods. A childless baker (James Corden) and his wife (Emily Blunt) must find four enchanted items in order to reverse the curse of the witch (Meryl Streep), placed over his father's house and the cause their infertility. With the help of some familiar friends along the way, the couple must fulfil their quest whilst Little Red Riding Hood (Lilla Crawford), Cinderella (Anna Kendrick), Rapunzel (McKenzie Mauzy) and Jack (and his bean stork) must be careful what they wish for. Known more so for his direction of Chicago (2002), Rob Marshall brings another Broadway classic to the big screen. Based on his previous successes, as spectators we expect a stylised and thrilling tale but instead we get something is reminiscent of Tim Burton's Alice in Wonderland (2010) - with singing. The whole duration of the film brings to mind Sweeney Todd (2007), another Sondheim musical, but not only for it's songs but for it's cinematography and style - not what we would expect from Marshall. 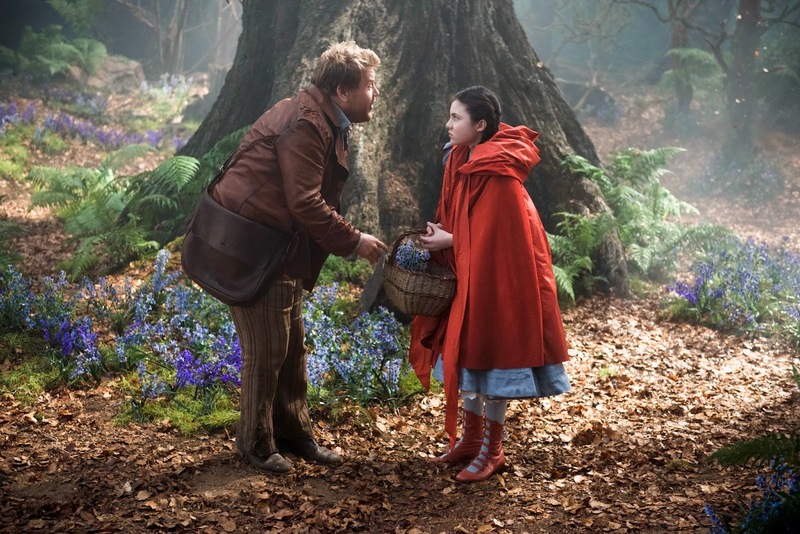 Most memorable is a Broadway brat as Little Red Riding Hood (Crawford), a scene in which we witness an extremely uncomfortable performance by Burton's usual choice, Johnny Depp, as a perverted wolf who appears more like that of the child snatcher. 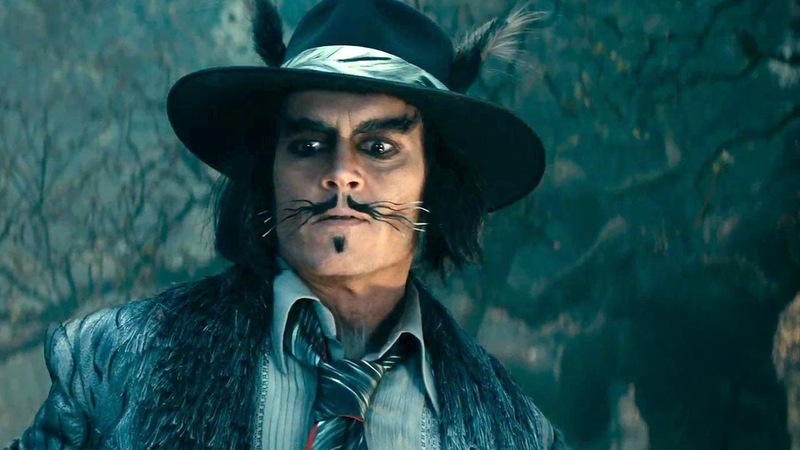 This scene, so early in the narrative, sets an uneasy stead for rest of the film and, unfortunately, Depp leaves a rather forgettable and creepy impression on audiences. 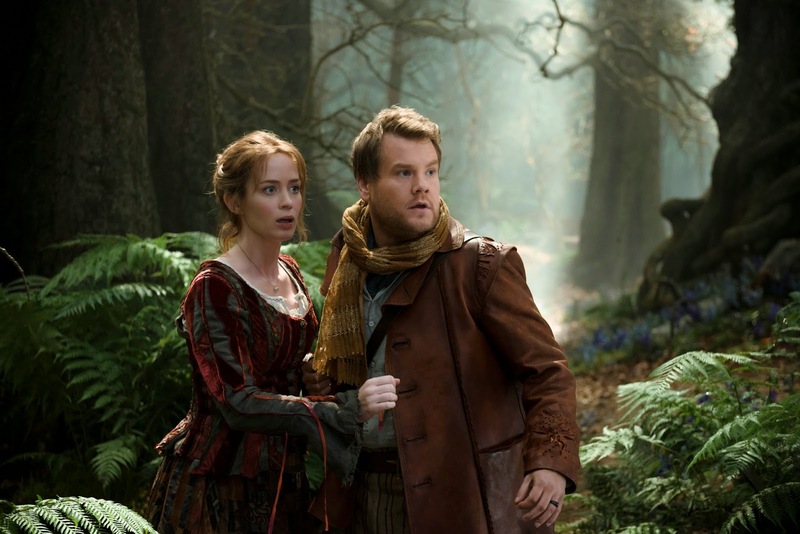 Starring James Corden, the narrative opens to his voice as both the narrator and the protagonist of our story. As a first major Hollywood production for Corden, some may argue he may be overcast but when the story warms up, the Tony Award winner asserts himself as a worthy lead as a child-less baker who becomes a father and finds his courage. Whilst he may not have the most excellent of musical voices, compared to that of Meryl Streep (who quite frankly makes it look easy), it appears as though the musical aspect was not necessary in the first place. With a huge bellowing number to open, we have the musical elements thrust upon us and continue endlessly throughout the film. Whilst this is fine for your average Sondheimites, the songs are neither memorable or aiding the development of the story and in some ways can be a little off-putting. Due to the narratives unravelling being purely through song, there is little/no character development and thus little/no empathy for them. Whilst there are touching moments for the baker and this wife, tragedies are skimmed over and another song tune has started before you can process it and so the successful aspects are short and sweet. The initial building blocks of the film are promising. In your average Disney narrative, the protagonist must find the four objects in order to have the witch reverse the spell of infertility and gain back her beauty. Including each of the fairy-tale characters, each getting their own song and inclusion in to the building blocks, we are lead to believe that the protagonist has successfully fulfilled his dreams, as have the other characters. However, a drawn out half an hour that follows changes the pace and drags the film to a slow end and an anti-climax. 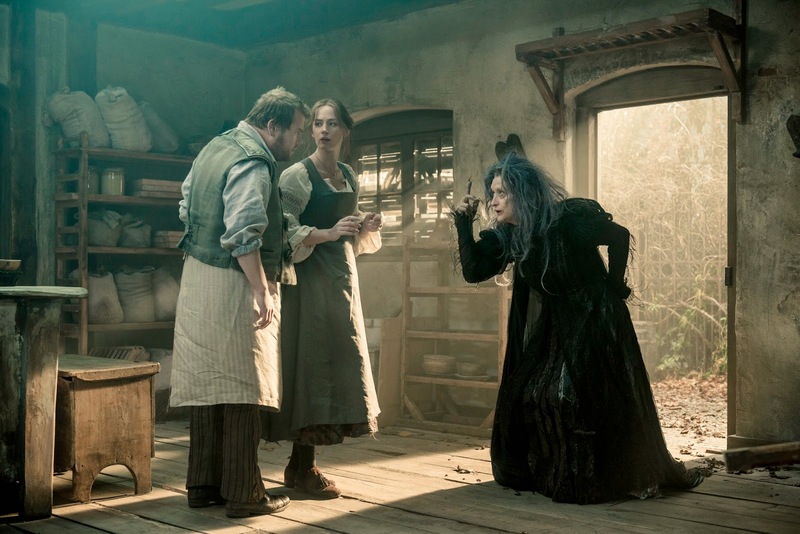 With a sensational cast, clear guidance from it's former Broadway successor and direction under an Oscar nominated director, Into The Woods had unlimited potential yet it does not quite utilise it. Meryl Streep shines through as the witch and whilst there are plenty of humorous and touching moments, they seem too few and far between. Worth a watch and very enjoyable but would certainly work better as a stage production, Into the Woods gets a Sophie star rating of 3 out of 5 stars - I awarded an extra star purely for Streep and amusing the Princes' scene. Another Oscar nom-title down, just a few more left to tick off my list! 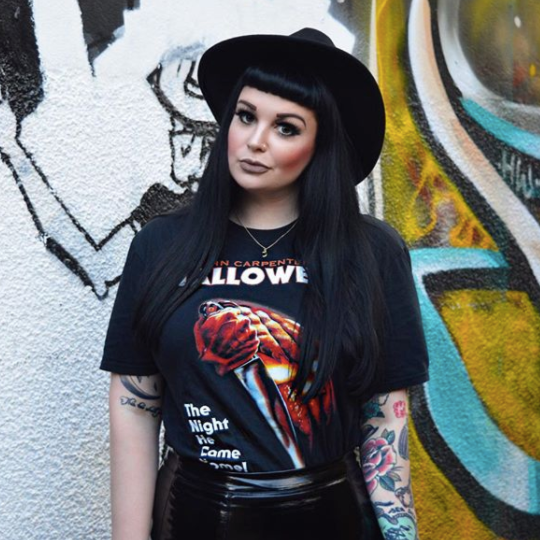 I've seen so many lately and I'm trying to keep up with all my sponsored posts and my film reviews so there will be a bombardment of posts to come. Going to try to see yet more films this weekend so stand by! Interesting review! I haven't seen it but have heard quite a few mixed reviews. Streep can never do wrong though! I think you're spot on in another well-written review. Good but not great. I love all the people in the cast, though.